Another year done and more great books were added to our personal libraries. Forget about Netflix and chillin’, 2016 was another amazing year for Philippine publishing. While the rest of the world was binge-watching various TV series on their devices, Filipinos were clutching, honest-to-goodness printed books. Already coming from a banner year in 2015, Filipino readers were even more spoiled this year with an even more diverse lineup of local books from mostly new and unexpected authors. In today’s ever changing world dominated by social networking sites, Wi-Fi, and hashtags, more and more Filipinos are now engaged in a new reading habit. ABS-CBN Publishing’s top five bestsellers for 2016 is led by President Vice: Ang Panggulo ng Pilipinas. In his book debut, the self-appointed Panggulo ng Pilipinas Vice Ganda gives a voice to the voiceless as he proclaims new rules and decrees that will have no effect whatsoever on our lives. “No to PDA!,” “No to #NoFilter!,” and “No to paasa!” are just some of his unorthodox and new rules. Make no mistake though, this is the gay president who values our right to love, life, and “churva,” whatever that means for you. 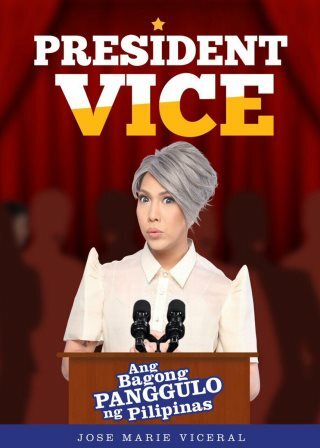 Selling 95,000 copies, “President Vice” is guaranteed to be funny. 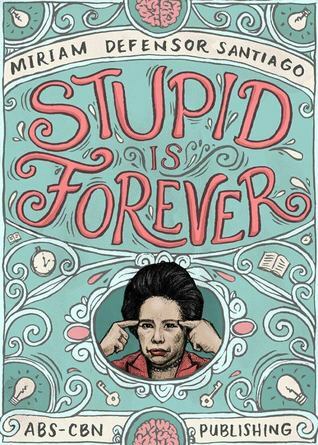 “Stupid is Forever” and “Stupid is Forevermore” topped the bestselling charts in 2014 and 2015. 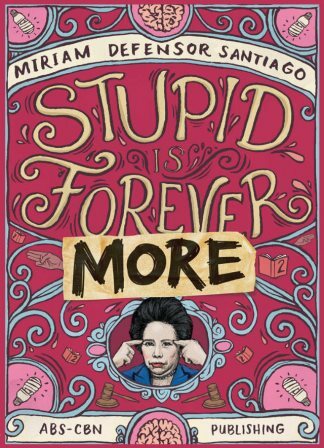 And yet, the late great Miriam Defensor Santiago’s book series still continue to sell like hotcakes in 2016 after selling 80,000. She may have passed away early this year, but the beloved senator’s influence is, was, and forever will be boundless. Her collection of quotes, jokes, and speeches will ensure that #MiriamIsForever. Simply put, “Vince and Kath” is a love story told through text messages. 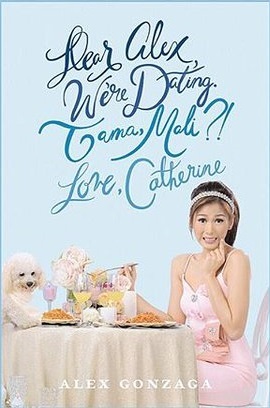 After gaining prominence online as one of the pioneers of the “socialserye” genre, Queen Elly (Jenny Almocera in real life) saw her books come to life in printed format in March. Flash forward to December, the beloved and bestselling 7-book love story, which sold 75,000 copies, is now a major motion picture and part of the 2016 Metro Manila Film Festival. Last May, after the smoke cleared from one of the most intense elections ever, one man stood tall and victorious. His name is Duterte. 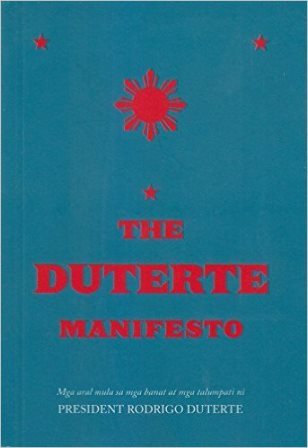 Compiling President Rodrigo Duterte’s various quotes, statements, jokes, and promises, “The Duterte Manifesto,” which sold 70,000 copies, is an unofficial guide to understanding how the Philippine’s most powerful mind works. And if that’s not enough of an incentive, a portion of the book’s proceeds go directly to Davao Children’s Cancer Fund Inc. – House of Hope. ABS-CBN Broadcasting Corporation is the leading Philippine information and entertainment media conglomerate. In the Philippines, ABS-CBN produces a wide variety of engaging world-class entertainment programs in multiple genres and balanced credible news programs that are aired on free-to-air TV via Channels 2 (VHF) and 23 (UHF) and a regional network of TV and radio stations nationwide. It also provides news and entertainment programming for nine channels on cable TV. The Company owns the leading film and music production and distribution outfit in the Philippines, and has interests in cable TV, mobile and Internet multimedia services, and glossy-magazine publishing. It brings its content to worldwide audiences via cable, satellite and the Internet, primarily through ABS-CBN Global’s The Filipino Channel (TFC).